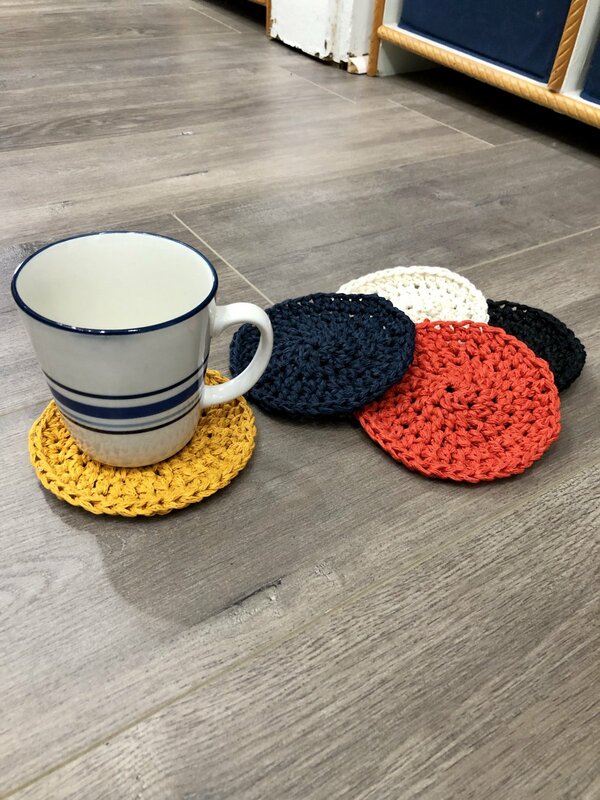 These super-cute coasters take full advantage of the super-cool HiKoo Woodi yarn; it's made out of abaca fiber, a fibrous plant. This yarn is dynamite to crochet with, an even better to set a glass on! This is the perfect class for beginners who are looking to start crocheting hats, flowers, motifs, or anything started in the middle and worked out.